This new precise, easy to use interproximal marker ­— ProxiChek from Microcopy, clearly marks the point of contact and eliminates guesswork when fitting a crown. 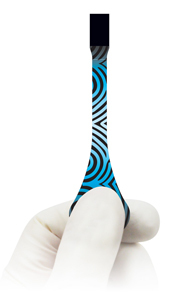 It’s unique easy-grip handle reaches all areas of the mouth. Also for the posterior, it can bend 90° to allow maximum visibility when marking while placing the crown. The thin double-sided 19-micron film, provides tactile feeback for the proximal fit. It leaves a black mark thru friction just on the point of contact. This exact mark saves time when making adjustments, eliminating the guess and check practice, and risk of over adjusting the crown. 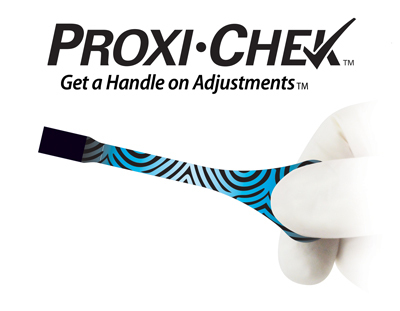 Proxi-Chek will mark all types of crowns, such as zirconia, porcelain, lithium disilicate, and metal. For best practice, dry both the crown and tooth surface before marking. Economically priced for single-patient-use, this the tool is convenient and safe. Packaged 45 per pack. This tool will improve your speed when fitting a crown.